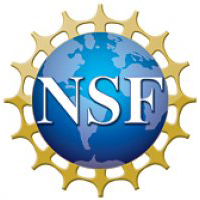 Our Vision: To be an influential organization ensuring that African Americans and other people of color are fully engaged in shaping the global scientific community. Our Mission: To build an eminent cadre of successful diverse global leaders in STEM and advance their professional endeavors by adding value to their academic, development, leadership, and philanthropic endeavors throughout the life-cycle of their careers. 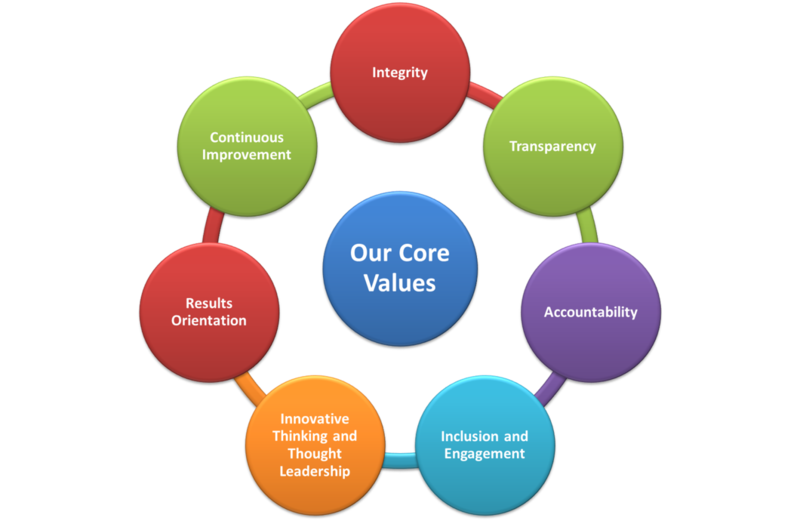 Our core values shape the culture and define the character of NOBCChE. They serve as a foundation for how we act and make decisions. NOBCChE members and leaders operate according to these core values through individual and collective behaviors. 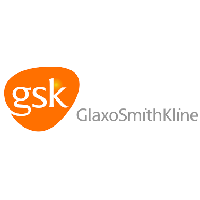 Talent Pipeline and Capability Development: Our strategy to attract, develop and retain great people. We are an all-volunteer organization, but in order to get people to volunteer their time, we must be a high-performing professional organization that provides a return on the investment of that time. Our members are our greatest asset and emerging talent will be the future of this organization. Membership Value Proposition: Our focus on providing value to our membership that is aligned with our mission. The NOBCChE Brand: We need to build a brand that is professional and will help us tell our customers and stakeholders how we are different from the way we were and from other organizations. We have a great story to tell! 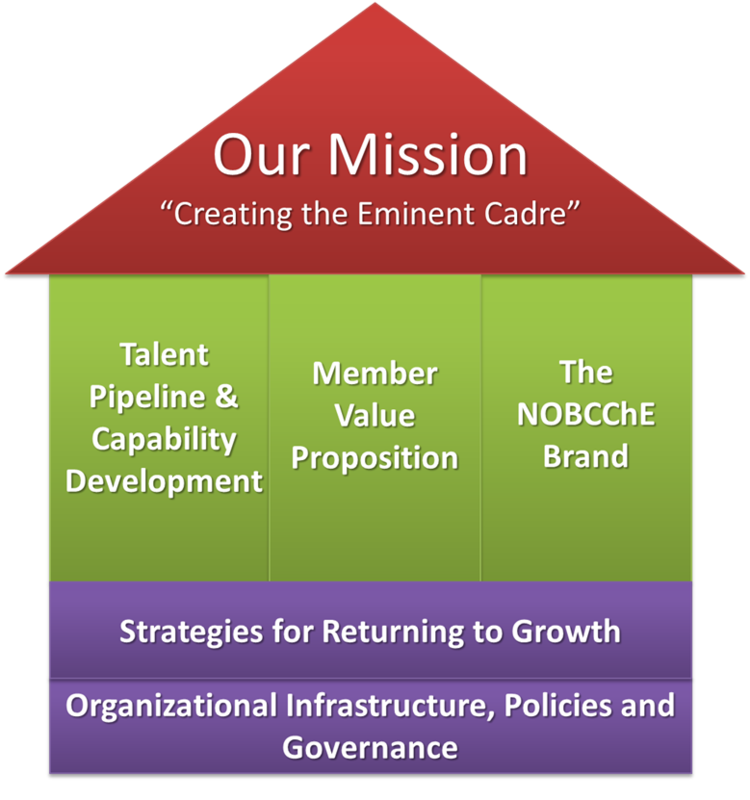 NOBCChE organizational goals and objectives are our short-term and medium-term targets that we seek to accomplish. 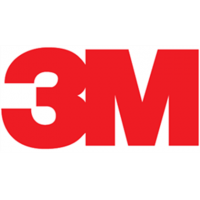 Our goals play a large part in developing organizational objectives. The successful execution of our objectives is measured by our scorecard. 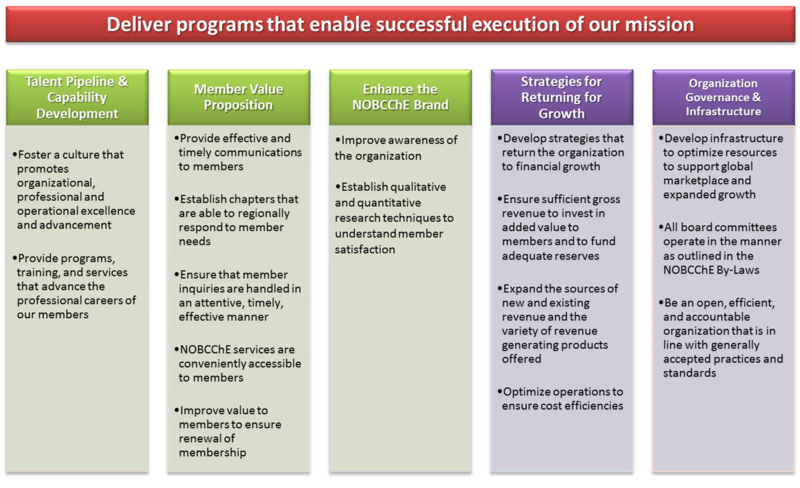 Click the image below to learn more about NOBCChE goals and objectives. We will develop clear objectives and measures of performance. Our measures are the actual metrics used to gauge performance on objectives. 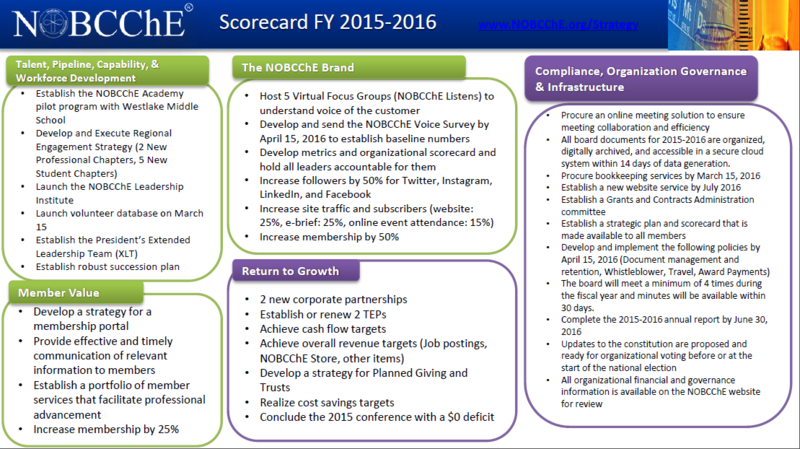 We access our progress using the NOBCChE scorecard. Click on the scorecard to enlarge it or click to download a PDF. If you are interested in learning more or getting involved, send an email to [email protected]. We would love to hear from you.